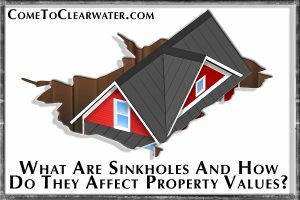 What Are Sinkholes And How Do They Affect Property Values? Sinkholes can be a scary thing. They happen in areas where the rock below the surface is limestone, carbonate rock, salt beds, or rocks that can naturally be dissolved by the groundwater circulating around and through them. They can occur slowly or seemingly overnight, but having a home in an area where they are common can be nerve wracking. So what happens with the dissolving rock is that spaces open up where rock used to be. Typically those spaces fill with water which helps hold up the land above them. However, if that water is removed, like when a well is drilled and the water used, there isn’t anything holding up the land. Then it collapses and forms a sinkhole. Sinkholes can be fixed, and there is nothing wrong with buying a home that has been affected. As a buyer you should just ask to see the documentation of the repair. 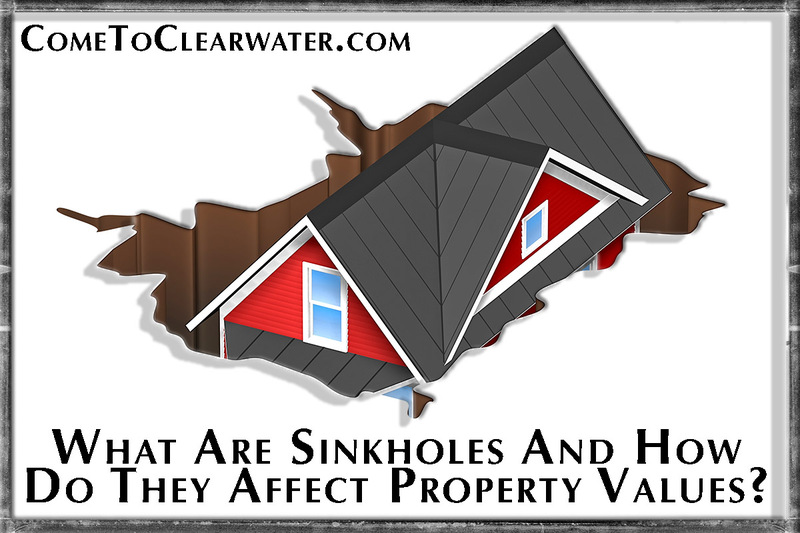 However, having had a sinkhole will affect your property value if you are a homeowner. Generally, a repaired sinkhole property vs. a property that has never had a sinkhole will have about a 7%-10% difference in market value. Your best bet is to have your Realtor do research on other homes in the area comparable to yours and see how sinkhole remediation affected their value. The other thing to think about is whether your home, or the home you are looking to buy is insurable. You need to be able to get homeowners insurance in order to get a mortgage. In Florida the biggest insurer for homes affected by sinkholes is Citizens, and their requirements to insure a property have conditions attached. They, and probably most other insurers will need to know if the sinkhole claim was paid below, at or above policy limits; the original Engineering Findings Report; and the original Engineering Completion Report which will document the repairs and that they were done to the Findings Report; and documentation of the cosmetic repairs. All of this will affect your homes value and probably not for the better.